6 Nos. White Lilies declare unconditional love. You mean the world to your partner. Chrysanthemum Flowers is to support your friends with loyalty and love, especially when they are facing an obstacle or recovering from a live-changing event. Remember to honor the cycle of life, both at its end and with new beginnings. 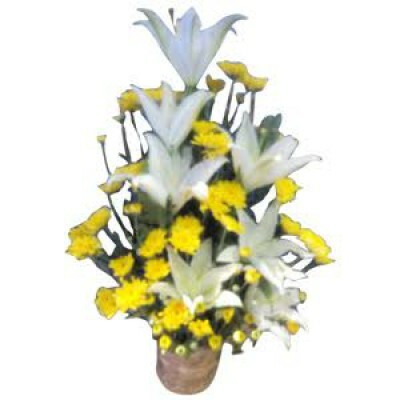 Gift this flower basket to your friends/relatives for their birthdays/anniversaries.